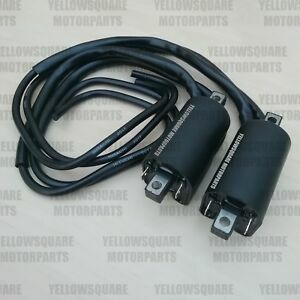 Yellow Square Motor Parts is a trading name of Yellow Square Enterprises Ltd. The contract between you (the buyer) and Yellow Square Enterprises Ltd hereby referred to as "we", "us" or "YSE Ltd" is binding at the point when goods are paid for in full, including any shipping and handling costs. The terms of the contract are: YSE Ltd states that all parts must be fitted by a qualified mechanic. All parts are for UK spec bikes unless otherwise specified. All years specified are the year of manufacture not the year of registration. All parts are aftermarket and so may not be identical to original parts. Parts compatibility features and listing descriptions of bike compatibility are to be used as a guide only. Please look at pictures carefully and compare to your original parts before purchase. We are unable to accept returns on items that have been fitted to a vehicle. Please see company returns policy for further details. YSE Ltd reserves the right to cancel any order. In the event that we cancel your order, you will receive a full refund with an explanation as to why we've had to cancel the order. This includes but is not limited to, items being out of stock, items being discontinued, items being listed for an incorrect price. YSE Ltd does it's utmost to post all items as quickly as possible. 24 hour or special delivery upgraded postage options have to be purchased and paid for before 2pm to be dispatched same day. All orders placed after 2pm will be dispatched the following day.